I was tagged in an Instagram #WritingChallenge this morning. I had to tell a story in three words. 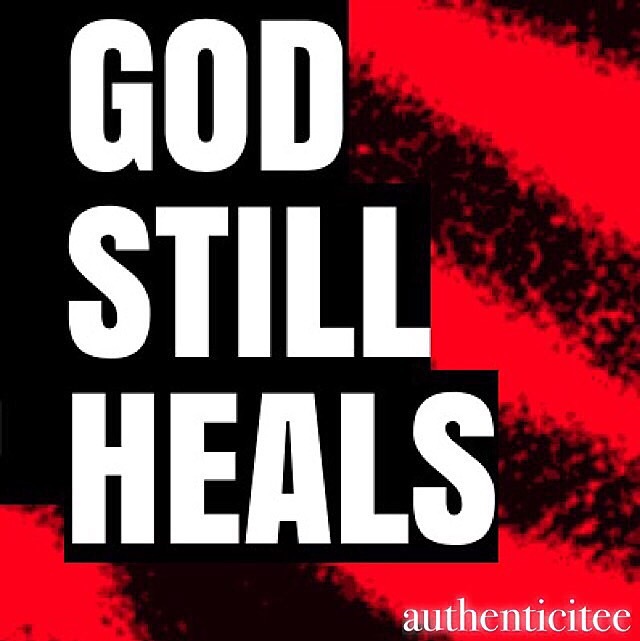 I chose my story: God Still Heals. People often assume that healing is instant perfection and yes there are times when supernatural miracles happen; but I believe healing is also progressive at times and that it comes in many forms. Though I DEFINITELY believe in divine healing, I’m a firm believer that God also uses us to be His hands and feet in the earth realm. This means you could be the answer to someone else’s breakthrough and prayer request for healing. I pray today that you receive evidence of your healing. Maybe through the ability to smile for the first time in months, clarity of mind, laughter, a hug and pain relief that does not contribute to, or encourage maladaptive behaviors. Healing. Even in the “little things”. We musn’t be smug! What’s minor for you can be major to someone else. Be it through finding that $5 dollar bill in a pocket before washing clothes or a much needed parking spot! Healing is needed in this season. The healing just to have HOPE again. I pray that healing comes today for you. Comforting you emotionally, physically, mentally, financially, and spiritually. I pray that healing manifests today and that you recognize it when it does.